SimpleDraw allows for quick and easy drawing and doodling. Designed with instant usability in mind, this application will allow you to start drawing right away without any bothersome start menus, splash screens, or ads. 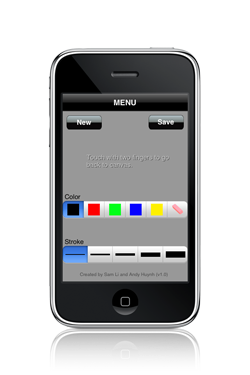 If you need more options, accessing the menu is very easy--just touch the screen with two fingers and you will be able to change your color and stroke. If you feel your drawing is important, hit the "Save" button and the image on the canvas will be saved to your photo album. 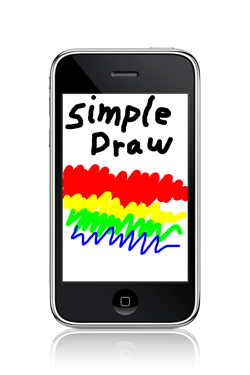 If you love quick and easy doodling, you will love SimpleDraw!